My husband and I are big Costco fans. We love to nose around to see if they are carrying any new vegan products, argue over the wisdom of buying a 50-pound bag of sweet potatoes, and endlessly discuss whether we should purchase a home surveillance system so we can spy on our cats when we’re traveling. One fun thing we don’t get to do is try all the freebie samples that the nice ladies in their plastic caps hand out. Once in a while we’ll score some chips and guacamole or—far less exciting—a slice of Anjou pear. But for the most part the offerings aren’t vegan. On the plus side, it saves us from eating a lot of really unhealthy food. While it’s certainly true that vegans can make unhealthy food choices, it’s far easier to do so when your options include cheesy fries, French bread pepperoni pizza, and cream puffs. And when we get in line with our cart filled with quinoa, peanut butter, extra virgin olive oil, pinto beans, chickpeas, hummus, lemons, and frozen blueberries, it’s pretty obvious that even with a few treats, our basket looks way healthier than the ones piled up next to us. Diet does matter, of course; it matters a lot. (And my husband, who has a PhD in nutrition, knows that.) But it doesn’t make us bullet proof against disease and it’s a mistake to believe that it does. It’s especially a mistake to advocate for animals by promising people that going vegan will somehow make them invincible. Lately, I’ve been seeing quite a few stories about people with cancer in my facebook feed. Several of my FB friends have breast cancer or have been treated for it. Others are dealing with news of cancer in their loved ones. Aside from the fact that such comments are incredibly rude (even for facebook), trying to blame someone for their disease is not the least bit helpful. Worse, some vegans with cancer blame themselves. In one instance, a vegan who was diagnosed with cancer before the age of 30 said that it wasn’t surprising since she had been overweight and ate a junky diet. But, cancer in your 20s is unusual even among people who eat the worst diets. Disease shaming alienates and ostracizes people. Vegans may be afraid to share their diagnosis with others. They may not ask for much-needed support because they worry about feeling judged. Some may be reluctant to admit that they have chosen conventional treatment for their cancer instead of trying to cure it through some raw, low-fat, alkaline, whole foods vegan diet. But, there is no evidence that any particular diet, whole foods plant-based or otherwise, can cure cancer. Believe it or not (sorry, Hippocrates) sometimes you have to let medicine be thy medicine. And while there are diet and lifestyle choices that lower risk for cancer, there is no surefire way to prevent it through what you eat. 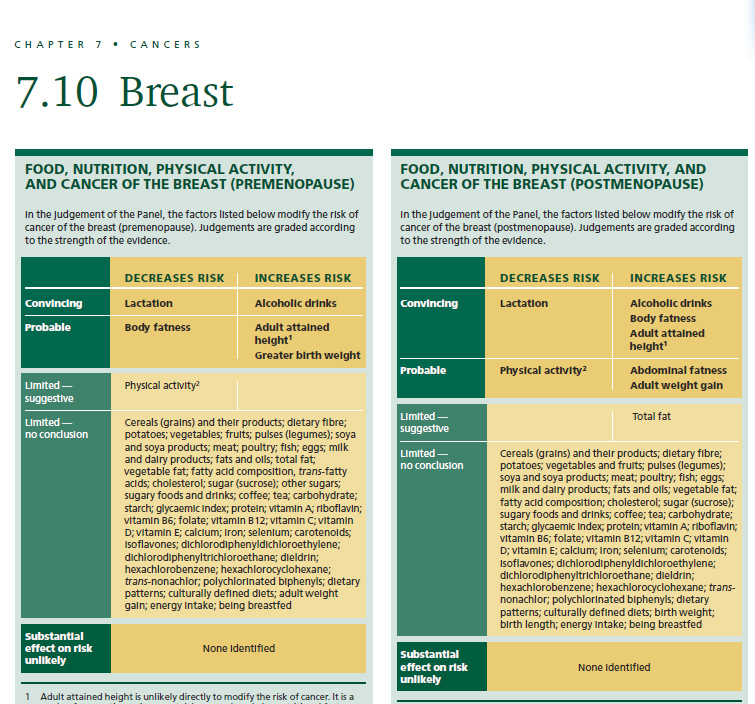 The evidence for effects of fiber, vegetables, fruits, meat, eggs, milk, and vegetable oils on breast cancer, for example, is “limited,” at best. That’s the conclusion of the World Cancer Research Fund and the American Institute for Cancer Research, organizations that summarize all of the findings on diet and cancer. We do have research showing that certain types of diets—mainly those based on plants with lots of fiber and antioxidants—are likely to reduce risk of cancer. And choosing foods accordingly is a good idea. It’s just that we can’t say with any certainty that any type of diet offers a guarantee against cancer. Nor can we ignore the other things that might affect risk. Not just environment and genes, but also factors like reproductive history. Women who have never had a baby or breastfed a baby are at considerably higher risk for breast cancer. And then there is mental health. Stress and depression are both related to inflammation, a condition that underscores many chronic diseases, maybe including cancer. And for many people, these can be difficult to manage. The fact is that disease, especially cancer, is complex, and our understanding of the causes and cures is imperfect. Pretending that a vegan diet is an established way to make people disease-proof might seem like a good way to get more people to go vegan. But it can cost us credibility. It can deter people from getting appropriate medical help. And it alienates vegans who have cancer or diabetes or heart disease or who aren’t slender. 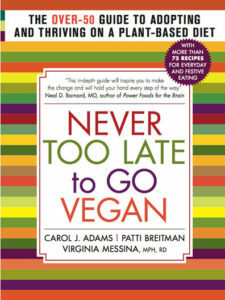 Alienating vegans who don’t live up to some particular physical ideal is not the best way to create a vegan world. And it’s especially hurtful when those vegans who are overweight or have cancer or some other disease also happen to be incredible advocates for animals. Lifestyle choices can raise or lower the likelihood that you’ll have a healthier life and maybe a longer one. But the only real guarantee in this life is that those of us who build our choices around a vegan ethic will leave the world a better place than we found it. I agree with my whole heart! Holy crap an eleventy-thousand times YES! Ginny, beautifully written and important issues to consider. Not to mention. A clever description of a strip to Costco. Now I’ll always think of you when I’m there. Sometimes in our compassion we forget to be compassionate. Thank you for sharing this. Now I will always think of you and Ginny when I’m there! Propaganda much? There are many studies showing how what you eat can prevent cancer and even cure it. Abe, please read Ginny’s great essay again. May help prevent, yes, but totally prevent, no way, there are many other factors that come into play. Please provide citations documenting that diet can cure cancer, and from reputable journals. Thanks. On whose behalf is Ginny propagandizing? I currently know two longtime vegans with cancer. Maybe they weren’t properly alkaline diets? Maybe they weren’t raw enough? Maybe they should have been doing the 80-10-10 diet? 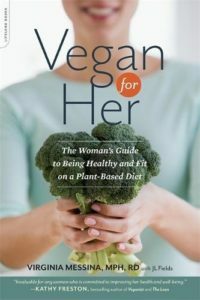 Maybe we should stop pointing fingers, stop being uncomfortable with admitting that cancer can happen to ANYONE, and start accepting that just because we’re health-conscious vegans, it doesn’t make us bullet-proof. I hope that a disease doesn’t cause you to develop some humility and empathy as it has for many others who were so confident that disease begins and ends with diet. Can diet help? Yes. Is it a cure-all? NO. She was vegetarian.. she may consume cow’s milk leading to breast cancer. Thank you for this post Ginny. I too have seen those kind of Facebook comments. I’m amazed at the disconnect in that it does NOT occur to those people how hurtful they are being. Aside from being wrong about the facts, as you pointed out, it is a callous and hurtful thing to do. I’m a fat vegan. I have bad lab work at 27 and diabetes and cancer run in my family. I cry that I’m bad for the movement. I don’t tell people I’m vegan unless I have to. I am vegan for the animals who aren’t killed for my taste preferences. I donate to animal sanctuaries. And my husband, with no weight issues, is vegan too only because I wouldn’t date him otherwise. I feel like I can totally say I’ve contributed in endless ways, but am still ashamed about my weight. Eden, I know how you feel, I have felt the same way, but what I’ve found is that we are not demonising veganism, we are simply normalising it, because people that are big, small and from all walks of life should be represented. This is a triumph! People often say to me “you don’t look like a vegan” and I always say, “thanks!” Breaking stereotypes is a good thing. I am vegan for ethical reasons and it is the proudest achievement of my life – I will never be ashamed of it no matter how big I am!!! I don’t have to see you to know that you are one of the most beautiful people in this world…I wish there were a billion more like you. I’ve been in the natural foods world since the 80’s and I’ve heard this so many times. Just a few years ago I was talking to a really healthy-eating friend who was dying of cancer, and mentioned another friend with cancer, and the dying woman said “but she ate alot of conventional dairy.” I guess we want to look for a reason for incomprehensible things, and wish that we were safe, but it comes out as blame. I McDougalled ten solid years. Loved the lifestyle. Then I was diagnosed with stage 2 colon cancer. This past 1.5 years has been a real head trip as I’m confronted with the realities of oncology versus the cr*p I read online. Truth is, docs found my tumor during a routine colonoscopy. If I’d followed the online doc’s recommendations and wait until I was 55 to do so, I’d be dead. 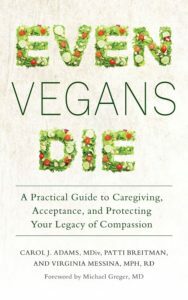 I’ve received a fair amount of vegan hate due to my diagnosis. They also seem to dislike that the China Study seems to have some flaws in its conclusions. ScienceBasedMedicine.com has become my friend. There are many reasons to be vegan. Being bullet proof to disease isn’t one of them. I very much appreciate this post. I am convinced that chemical exposure, just through day to day living, is a huge culprit in the causes of various cancers. Modern life is *drenched* in chemicals. Small examples: Your laundry detergent-wash your hands to cook, dry them with the towel (still carrying trace inorganics from your detergent), and handle food. Buy something, get a receipt, put it in your pocket, then scratch your lip. Nice dose of BPA. There isn’t enough time or interest in researching the myriad ways inorganics make it into our bodies, and the FDA approval process is a farce. There is still BPA in most of our food packaging (even a lot of the ‘organic’ stuff). I might sound like I’m being paranoid, but think about it. Pay attention just for one day, and you’ll notice all of the opportunities for chemicals to leach, transfer, cross-contact the food you eat and the things you touch and handle. Cosmetics, cleaners, packaging, plastics, particulates, etc… The list goes on and on. All that said, the only thing I’ve found that reduces a little exposure is using Dr. Bronners soap (which is wonderful anyways) for the majority of my cleaning needs, and not cooking/eating/buying foods in plastics. Would love to hear what others do to reduce chemical exposures. Wonderful post, Ginny! Thank you for sharing it. I had my own health battles earlier this year, and I didn’t share too much of what was going on because I didn’t want to have to deal with the comments. 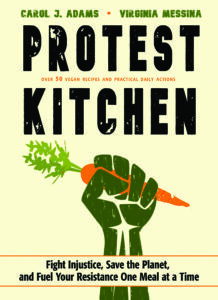 Too many people think a vegan diet is a cure-all, and if you get sick you’re diet just isn’t “clean” enough. Thanks for taking the time to eloquently state something so important. This is an incredible post. And so true. In China there are “cancer villages” caused not by diet but by excessive air pollution. All facets of modern life- stress, pollution, chemicals, etc – contribute to cancer, and the attitude of some vegans toward people who have cancer makes me absolutely sick. As vegans, we need to cultivate a climate of love, acceptance, and compassion, to welcome and encourage people into the fold and to do the best we can for the animals. Anything less is unworthy of us. Love this, Ginny! I am currently a student member of the VN DPG and I’m applying for a dietetic internship this winter. Some of the information that comes out of the Academy can be disheartening and worrisome, but the VN DPG really helps me feel like I will have a place in the AND once I become an RD. I look forward to networking with likeminded professionals like you throughout my career. Thank you for all that you do! PS I loved your research update in the Fall 2014 newsletter. Excellent post. I think we as human beings try to “blame the victim” as much as we can, so we can feel more secure that these unfortunate things will not happen to us. Bryan, that’s because we live in a country where all chemicals are innocent until proven guilty. Scary times. I’m sure some people can take the connection between diet and health too far but the average person seems to do the opposite, that is, the connection between diet and lifestyle and ones health is usually ignored. This connection is also systematically ignored in our medical system. A healthful diet and lifestyle can largely prevent most of the top killers (e.g., heart disease) and greatly reduce the risk of developing others (e.g., cancer)……I wouldn’t let a handful of people that take it too far distract from this fact. I love this post and it says everything I’ve been thinking lately. 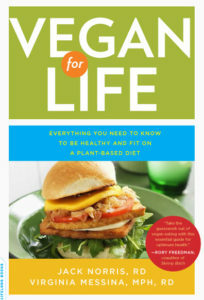 Thank you Ginny – I’m really looking up to you as a role-model vegan in healthcare! Well documented by many scientists and doctors. Do the research for yourself. Cancer has so many contributing factors that can’t all be put down to diet. These days people Talk about cancer as a single disease, forgetting that cancer actually consists of many different conditions. I’m a vegetarian who is a cancer survivor, and before anyone says that I got cancer because I want vegan, I’d like to say that no I got cancer because it just happened. I happened to her one of the most rare cancers in the world with only 200 cases world wide. It happened as a result of placental tissue staying inside my body after a miscarriage. I’ve had so many people tell me that I could have cured it with a vegan diet or even prevented it but no it could happen to anybody evergreen vegans. My question is would these people react the same to a baby with cancer? Would they blame diet then? Well said. I have been vegan for over 31 years and vegetarian before that.I have never been sick except for a cold once every 2 years and I am also a relatively successful powerlifter. People are always surprised to find out I am a vegan and of course I get all the silly smart-a.. remarks. This said I will never claim that my apparent health is due to being vegan , I prefer to say that genetics have been very good to me . I will also say that regardless of what the naysayers will claim, you can be perfectly healthy and at least as strong as a meat eater. And that is a goo enough reason to go vegan. I got diagnosed with IBS during my first flare up at 14 and I’m a long term vegetarian thinking about going vegan (11 years so far.) IBS runs in my family. During my first flare up, I had an endoscopy which showed that my stomach is much longer than it’s supposed to be, and the gastroenterologist said I had the healthiest digestive track of anyone they had done an endoscopy on. They literally congratulated me on my diet! Last year, I had another flare up, during which I discovered that I’m gluten intolerant. The symptoms went away, and then I travelled to my home country of Argentina, where bread and meat are the most common foods anywhere you go. I ended up getting sick from eating bread again and changing my diet. Now my family is blaming my IBS on the fact that I eat “too many vegetables” and that my diet is “too high in fiber.” They keep pressuring me to eat meat and it’s at the point where don’t even want to go out to dinner with them because their actions indicate that they have no respect for my choices. Do you have any advice on how to deal with this type of criticism? I’m at the point in my vacation where I’m leaving in 4 days, and I honestly can’t wait to be back in the states, which is honestly a shame because I don’t want my relationship with my family to suffer like this.